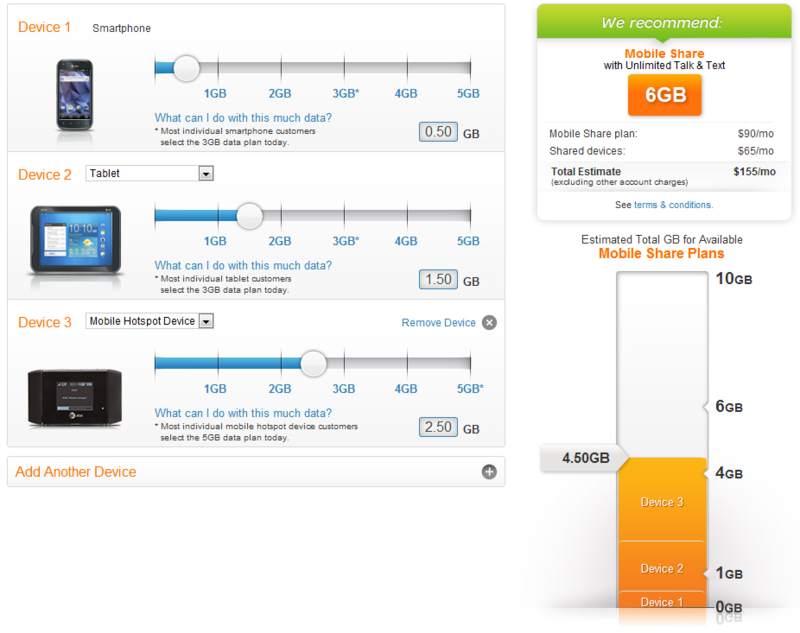 Several weeks ago, AT&T announced plans to begin offering shared data packages alongside its existing mobile plans. While availability wasn't released at the time, the company has just revealed that it is going to make these new shared packages available beginning on Thursday, August 23rd. Shared data plans will allow families to have unlimited domestic talk and text, as well as share their monthly bandwidth across various devices, including smartphones, tablets, hotspots, and laptops. In many cases, this could save them money on their phone bills (depending on usage, of course). AT&T has also released a small planner tool to help families decide which data package is right for them by selecting their devices and the average amount of data consumed on each. Again, though, unlike Verizon, AT&T isn't making this a mandatory change - leaving your old plan behind and switching to a new shared data plan is entirely up to you. That way, you can select whichever plan saves you the most money. And saving money is always a good thing.